While you're coming to Madison to go to the TFG Annual Conference, you should also find some time to explore this great city! In this section, you'll find information from our Conference and TFEC Symposium updates, as well as other tidbits. Check back regularly to find recommendations on activities, dining, and more! The Thai Pavilion at Olbrich Botanical Gardens is a traditional joinery structure, built in Thailand, then disassembled and packed in shipping crates. 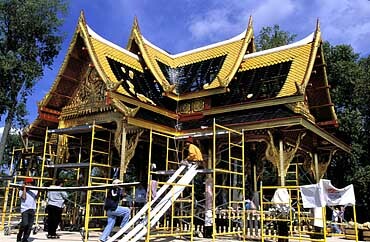 Nine Thai artisans traveled to Madison to reassemble the pavilion over a three week period. It is one of only four of its kind found outside of Thailand, and the only one in North America. The pavilion is 40 feet long, 22 feet wide, and 30 feet high, and features gold leaf etchings, a lacquer finish, and intricate decoration. 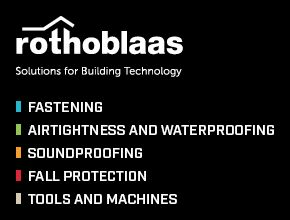 The pavilion can withstand the winter weather of Wisconsin without protection because it is constructed of plantation-grown teak and weather-resistant ceramic roof tiles. The Thai Garden surrounding the Pavilion emulates a lush, tropical garden with Wisconsin-hardy plants. Ornamental grasses, some reaching up to 12 feet tall, and several hardy bamboos are essential in creating a tropical look. Large-leafed shrubs and trees are pruned to give them the look of plants in a typical Thai garden. Glazed water jars and clipped tree art called mai dat, are both common elements of Thai gardens. Mai dat is a traditional horticulture feature in Thai gardens that has been practiced since the 13th century. Olbrich uses large Chinese junipers for the clipped tree art. The pavilion was a gift to the University of Wisconsin-Madison from the Thai Government and the Thai Chapter of the Wisconsin Alumni Association. This gift was approved by the royal family and therefore also bears the Royal Seal of the Thai Crown. Olbrich Botanical Gardens, a partnership of the City of Madison and the Olbrich Botanical Society, was voted among the top ten inspiring gardens in North America by Horticulture Magazine. It boasts 16 acres of outdoor display gardens as well as the tropical Bolz Conservatory, which features more than 650 plants native to tropical and sub-tropical regions throughout the world. Photo credit: Michael Forster Rothbart/University of Wisconsin. There's a cuisine for that: Madison is a city that can dish up anything you and your taste buds desire, and do it deliciously! This college town offers the full breadth and depth of culinary diversity, thanks in no small part to the multicultural student body at the University of Wisconsin-Madison. You can find fun and interesting dining experiences by doing an amenity search at the bottom of the restaurant page on the Visit Madison website. The site also offers itineraries combining activities and attractions of Madison with local eatery recommendations. Breakfast or brunch (or lunch!) at the Marigold Kitchen seems to be a top pick among locals and visitors alike. 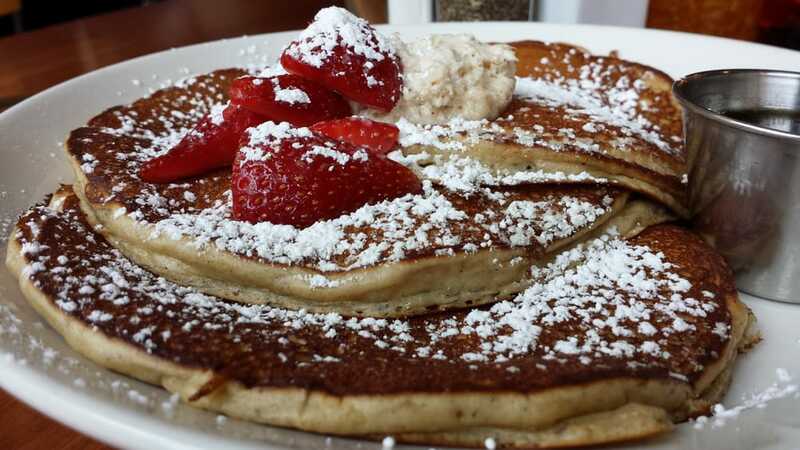 It's been around since 2001, sources local ingredients, and makes everything from scratch. Bottomless cups of coffee are sure to help too! Every review of the Tipsy Cow recommends getting a side of the truffle fries in addition to your burger, and praise is heaped abundantly on the cheese curds (we hear they have pretty good beer, too). For the foodies among us, Graze takes pub classics and refines them, featuring products from local farms and farmers. The restaurant happily takes into account its patrons' dietary restrictions, so there is something for everyone! According to reviewers, Graze also has a great happy hour, with a great view of the capitol. Drawing inspiration from French and American cuisine, Harvest offers a special dining experience, highlighting local, organic ingredients and a view of the capitol building. Reservations are appreciated, and the restaurant is open for dinner only. And while TFG staff didn't have much time to explore Madison's offerings while we were there working on conference logistics, we enjoyed brats at The Old Fashioned....and the next day, fantastic Afghan food at Kabul Madison before leaving town. Beer: We will miss Madison Craft Beer Week by a mere 10 days, but that doesn't mean you can't explore the region's beer landscape. Start out with a trip to Visit Madison's dedicated "breweries, distilleries, and wineries" page for a laundry list of the region's producers. Or, you can visit Hopcat Madison, Wisconsin’s largest craft beer bar, offering a “Local 30” section of tappers dedicated to beers brewed in Greater Madison and throughout the state. Sidenote: If you're not a beer drinker, there are still many opportunities to enjoy a "refreshing adult beverage." Yahara Bay Distillers is a family-owned business and was Madison’s first small batch distillery. Today, it produces more than 20 products, which you can find at a variety of locations or discover on a tour of the distillery. Visit Old Sugar Distillery, where all spirits are crafted in-house in a modified pot-still using regional materials and products. You can learn more about Old Sugar's process, and visit their tasting room, or go to a local restaurant or pub to find Old Sugar spirits. 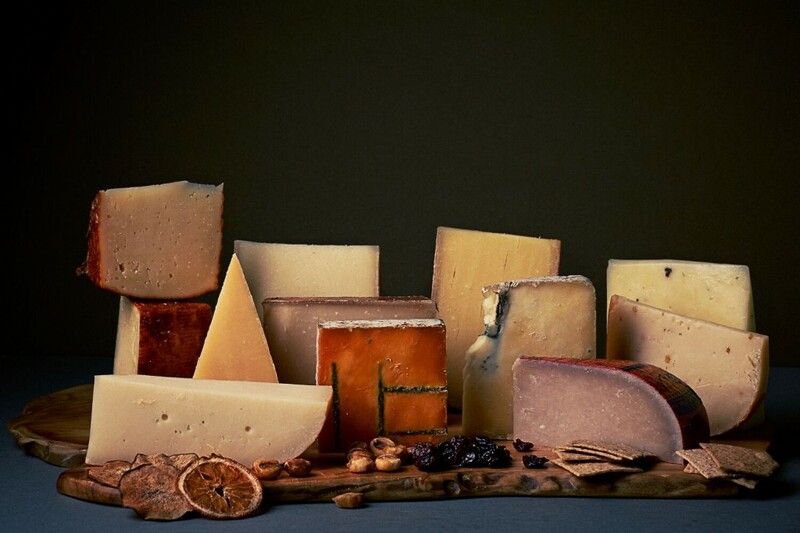 Cheese: Looking for a cheesy culinary adventure? Check out the Wisconsin Cheese Tour recommended by TravelWisconsin.com. You can also visit cheese shops that feature cheeses of all types, with ingredients sourced from Wisconsin farms and processed by creameries and cheese factories in the region. Cheese also makes a great gift to take home from your week with the Guild! Ehlenbach's Cheese Chalet - All cheese is hand-cut, cheddar and swiss are aged in-house, and Ehlenbach's has been working with the same cheese vendors for 45 years. Fromagination - Founded in 2007, Fromagination encourages guests to fully experience their food: See, smell and taste the cheese, and learn about how and where it is made. State Street Brats - Reviewers rave about the Trig's smokehouse brat, called the "World's Best Brat" on the restaurant menu. This white bratwurst took that title two years in a row in the competition for a traditional brat at the Watertown festival. Also featured: the Red Brat, a smoked beef pork bratwurst grilled butterfly style. The Old Fashioned - This Wisconsin-themed restaurant only serves brats sourced in-state, traveling to Sheboygan for brats and hard rolls. If you visit The Old Fashioned with friends, try "Wisconsin’s Best Wurst" platter, a selection of local favorites: Bavaria Sausage Kitchen’s Nürnberger bratwurst, knackwurst, and Weisswurst with grilled bread, sauerkraut, sweet gherkins, and mustards. Lodi Sausage Co. & Meat Market - Established in 1939, Lodi Sausage Co. & Meat Market was recently awarded six International Gold Medals in 2016 for its summer sausage flavors, pepper jerky, hickory smoked bacon, and dried beef.